how do you disguise a wheelbarrow or feed a compost pile ? the seedling bed has been cleared and is ready for replanting. 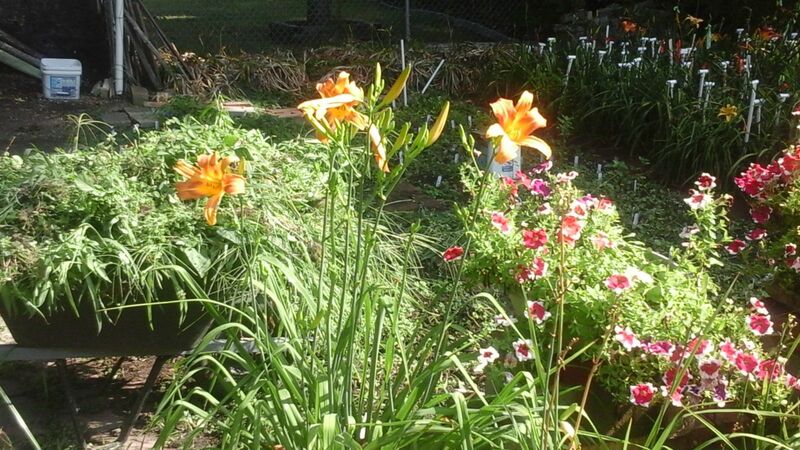 and those daylilies who just bloomed this morning show the evidence of their brief journey to the sun. note the drippings on the petals. the flowers above them have had their off switch activated. one day of bloom and then they simply melt away. so which is the beautiful part the bloom or the melting away ? 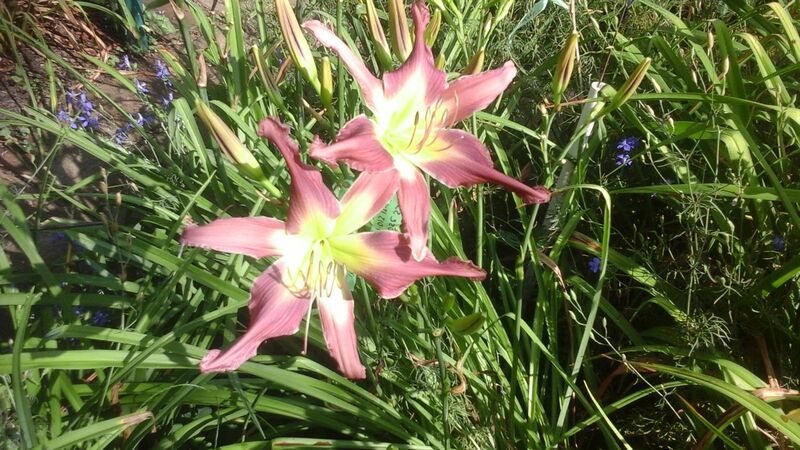 others are just starting to bloom. 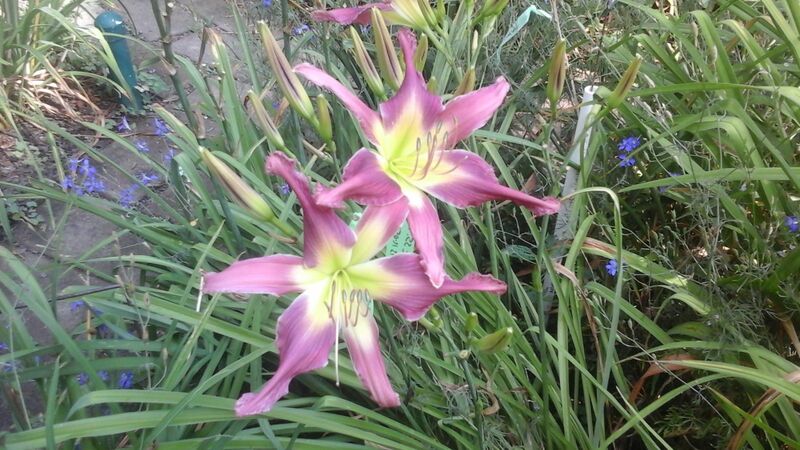 and they will go on blooming for another three weeks. these two are trying to finish out their days this summer. each on their own timetable. and there were two hungry swallowtail butterflies and bumble bees in the garden today. 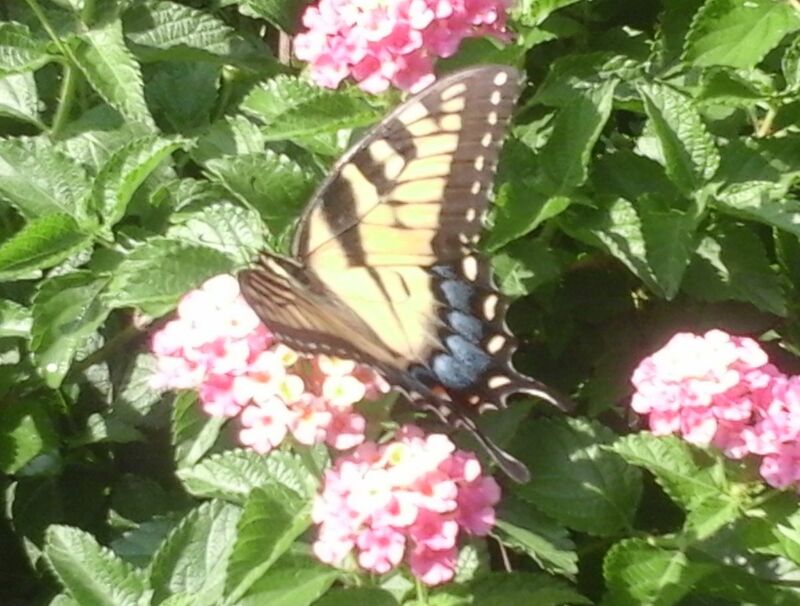 the swallowtails hardly cared about me and the camera ! this is an example of how too much light is too much for a camera to handle. 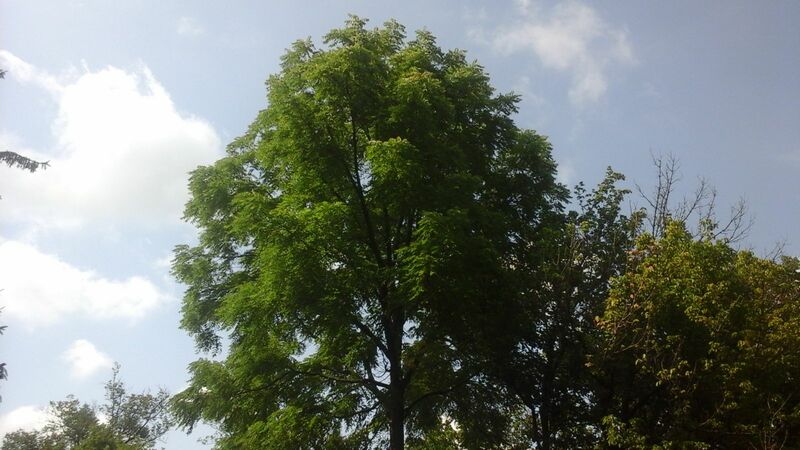 the first image is a flower in full sun. the next image is the same flower taken in shade twenty minutes later. the color and subtleties come through much better without the glare. so i hope you enjoyed this brief stroll through the garden. so now i can ask myself is my most cherished object being in the garden or finding a way to get closer to nature ? i hope you were able to get a fleeting glance of the answer. 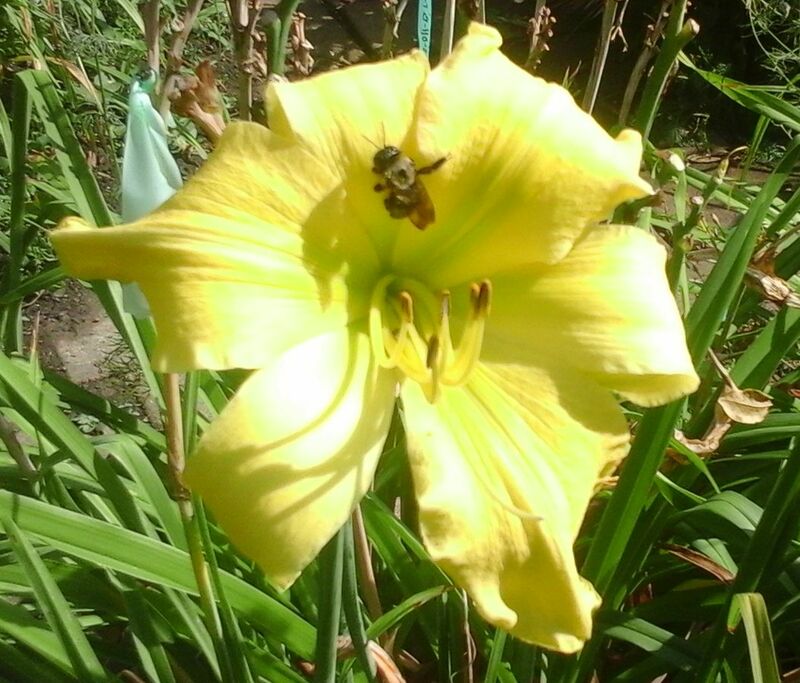 This entry was posted in daylily blog, garden, nature and tagged blog, blog daylily, blog gardens, bloom, cherished blogfest, daylilies, daylily, daylily blog, daylily image, flower blog, flower image, flowers, garden blog, gardening, gardens, hemerocallis, life, nature, perennial, perennial plants, serenity on August 1, 2016 by John Hric. A lovely stroll. We are desperate for real rain here in our corner of the UK. Glad you enjoyed the stroll Hilary ! I hope a nice slow moderate rain comes your way and gives everything a nice slow soaking. I was watching the news this morning about the flooding in Maryland. It seems too many places have not enough or the opposite extreme – way way too much! 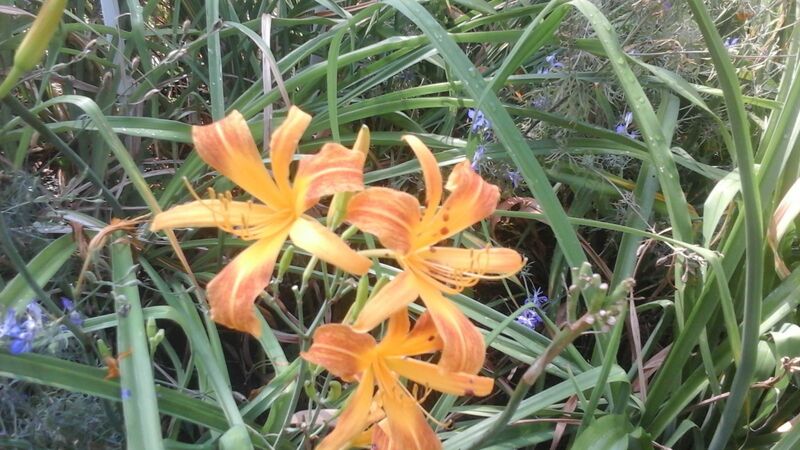 Beautiful flowers for your enjoyment! Wonderful photos , John, beautiful garden. Glad you enjoy the photos Kathie. Thanks ! These are all beautiful, John. After 10 days of 90+ degrees and nothing in the way of moisture, I can understand cherishing the rain. If you want to make this an official entry, the list if over here: http://www.linkytools.com/wordpress_list.aspx?id=271304&type=basic We’d love to have you. I guess i missed part of the instructions. Thanks Dan ! You can link to one each day if you like. We’re going to use that list to feature these blogs during the year. Nice to see your garden in action! Appropriately enough, I just came in from working in my yard, and I barely beat the rain. I like your pics. Good post! Thanks Paul. Always nice to meet another gardener. And glad to hear you are getting some rain. It has been way too dry here. Glad you enjoyed the flowers. You have a beautiful garden. Thanks for sharing. Thanks – i am glad you enjoy it ! What fun is a garden if it is not shared ! We too have had very little rain this summer in Toronto. Everything is so dry and desperate for some cooler temperatures and a lingering rain. Glad you have an abundance of butterflies ! What is drawing them in ? Hope you get some more rain. noticing now works just fine. and a bit of mystery is always good too. enjoy those butterflies ! Your garden is lovely and your hard work pays off. 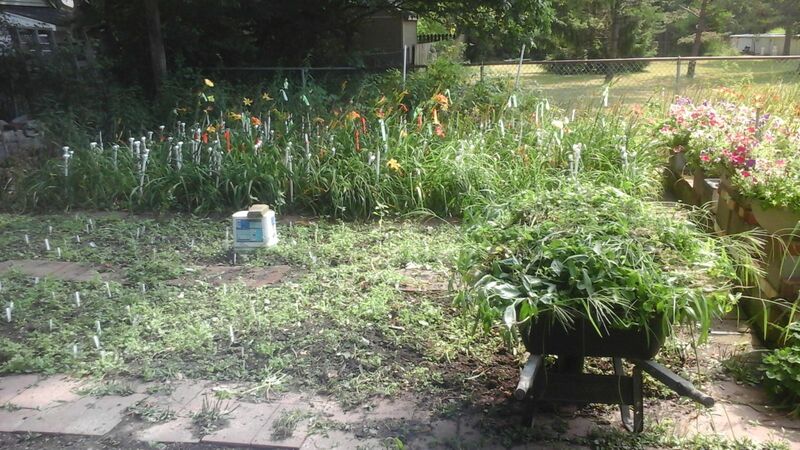 My garden, due to the extreme heat, coupled with crazy rain storms is looking like a later August garden instead of a Aug. 1 garden. We love these flowers so much. Thanks glad you enjoy the flowers. 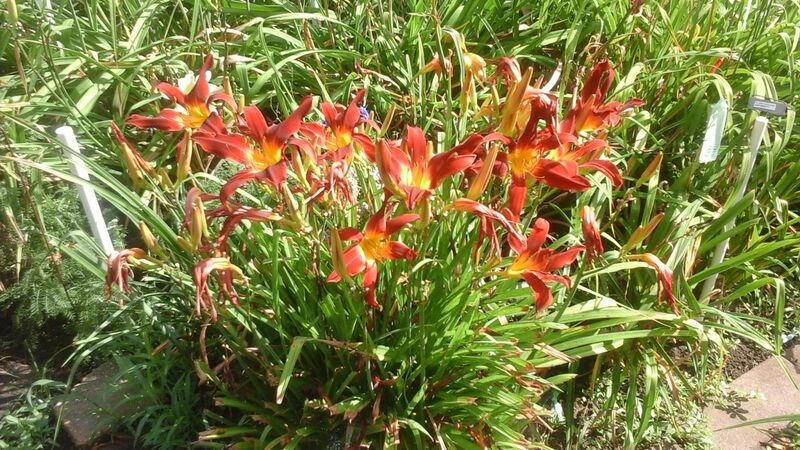 There are sections – more like individual plants – that have not done so well. A lot of them are growing at half or one third their normal height. So the garden here did not escape. 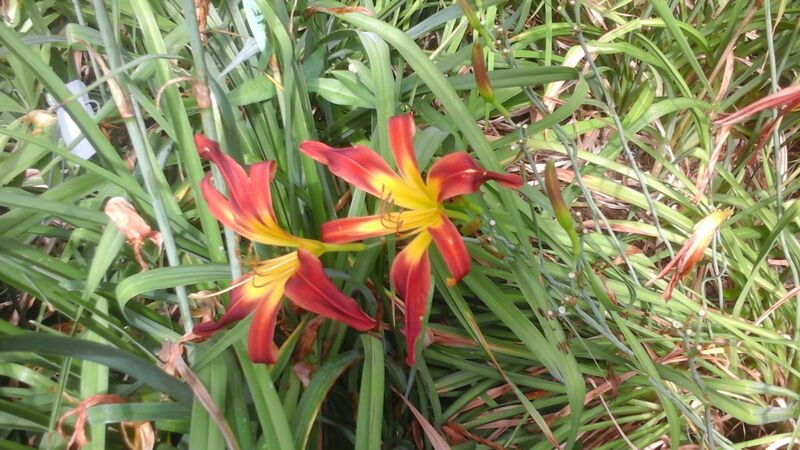 A lot of the plants have fewer blooms than normal. And some that I am working with got supplemental water. August is going to come hard and fast for a lot of them. So believe me I know what you mean about it looking like the end of August. 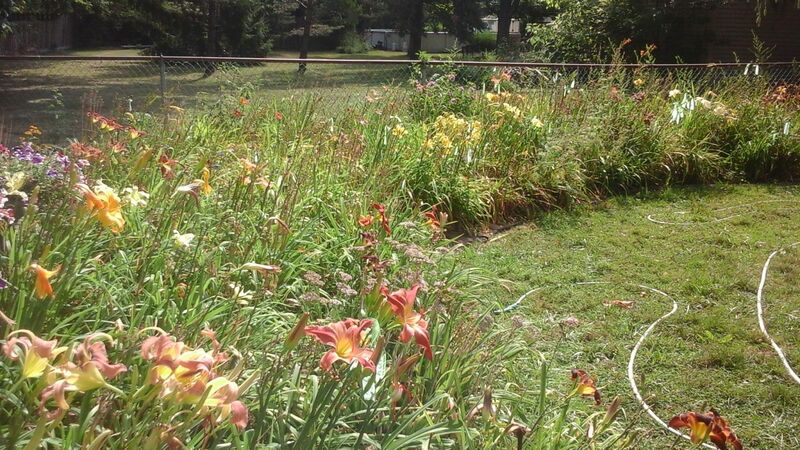 If I did not have a good variety of the late and very late blooming daylilies things would be a bit more done and dreary. thanks again ! Beautiful garden that is worth cherishing.